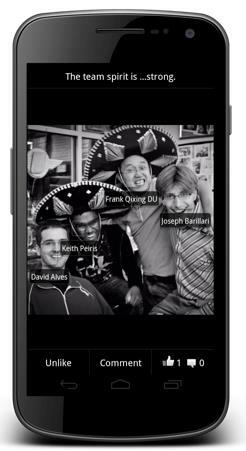 A few days ago, an update Facebook app for Android was released to bring you a quicker and a faster performance to view photos, get messages and navigate around the app. Photos and albums are up to two times faster than the previous Android app. It's also easier to share photos, view comments and edit captions on the go. 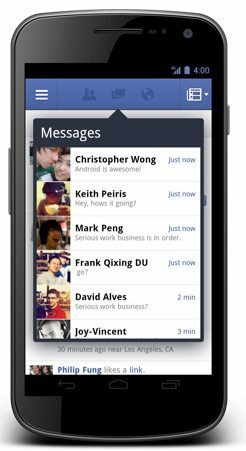 Your messages and notifications are now at the top of your screen. You can respond to friends and stay updated without leaving the page you're on. 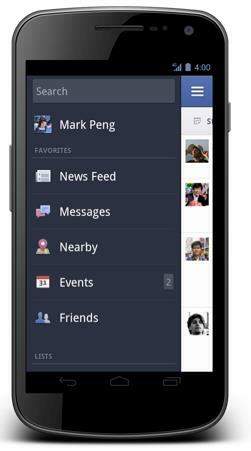 You can quickly access your News Feed, Groups, games and apps from the new left-hand menu. The features you use most are now at your fingertips.